Eighty-eight combined years of service to their country, 18 deployments into the war zones of Iraq and Afghanistan, countless weeks and months in hospitals, surgeries and rehabilitation facilities. Think these five wounded warriors are ready to do battle with a 5-7 foot white sturgeon? You can take it to the bank. These guys are “locked and loaded,“ ready to have a fun day on the water. As part of the Wounded Warrior Project and The Fallen Outdoors, guides like Donald Koskela, of Pastime Fishing Adventures, of Silverton, volunteer their boats and services for the day. 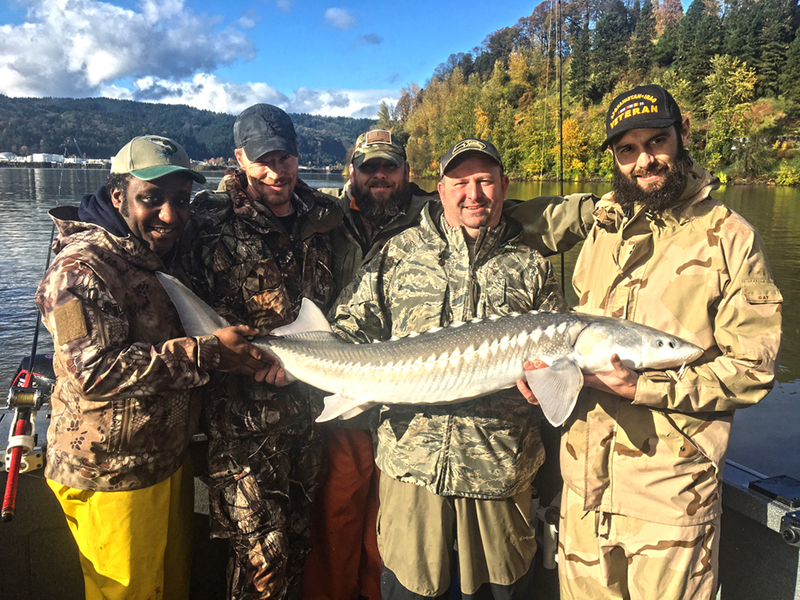 Koskela has years of experience fishing for sturgeon. He has clients from as far away as Germany, (even Texas) to catch and release sturgeon. Our five wounded warriors have joined Koskela for the day in his 28-foot Alumnaweld. Koskela drops anchor in one of his marked “hot spots,” the popular Toyota Hole. A large inflated ball is attached to the anchor line. When a big fish is hooked, the boat is released from the anchor, and the ball remains with the anchor as the boat floats downriver fighting fish. Koskela baits all five hooks, casts them out, and gives a brief lesson on what the bite looks like, and what should be done. Anglers will take turns fighting fish. Koskela will coach each angler on; when to take the rod out of the holder and when to set the hook. These guys have never met before. They quickly decide, Tim Taylor, of Corvallis should be up first. After all, he has been in the house watching the kids for two weeks. Tim was Army National Guard and served in Iraq. He lands the first sturgeon. He had never caught a fish larger than a pan fish. “It was one of the smallest of the day.” Koskela adds. After 15-20 minutes only three small fish have been landed, 2-3 missed. Next stop on the chart, bites come quickly. Bigger fish. Lunch time. Lunch is included with the trip. Most of the guys are prepared for the standard box lunch. Surprise, Koskela fires up the stove on the bow and starts barbecuing chicken. No box lunches on for these guys. Smoke and aroma of chicken on the grill quickly blankets the area, competing with the excitement of doing battle with the two largest fish of the day. Rick Gay, the quiet one, from Eugene, takes his shot at one of the biggest fish of the day. He served six years in the Army. Jayson Southmayd, from Eugene, served a total of 24 combined years of active and reserved, in the Army and Marines. Veterans interested in the wounded warriors and The Fallen Outdoors should contact: www.thefallenoutdoors.com and www.woundedwarriorproject.org. Thank you’s from the Warriors: Jeromy Taylor: Cannot begin to describe my appreciation to Capt. Don from Pastime Fishing Adventures for this wonderful donation to the Wounded Warrior Project and the Fallen Outdoors. The group of service men truly had a wonderful trip taking down fish after fish. Tim Taylor: You are fishing at its finest. Hats off, brother. Jayson Southmayd: Thank you for making our trip one to remember. We not only got on a mess of fish but we had a fantastic day out on the water with fellow warriors. 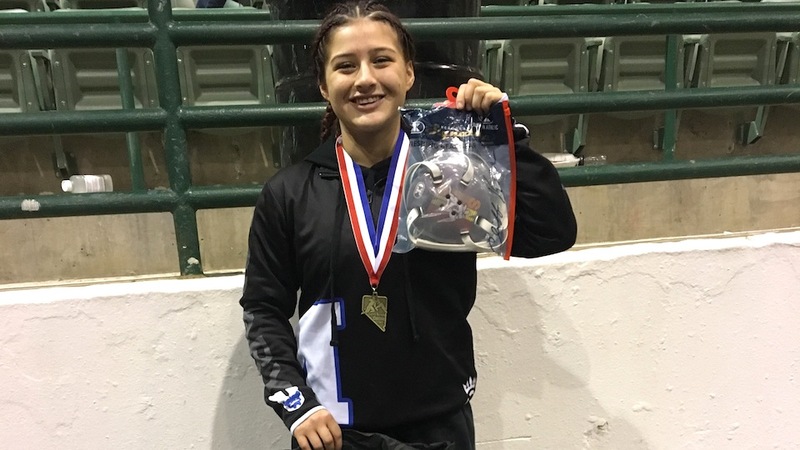 McNary sophomore Nicolette Parra went to the Sierra Nevada Classic in Reno for more mat time and to experience a big tournament with wrestlers from four different states. Wrestling in a bracket with 10 other girls, Parra won the 135-pound championship on Dec. 29 at the Reno Livestock Events Center. She defeated Thurston junior Alaina Zamudio in the finals, pinning her in the first period. After a first round bye, Parra earned a third round pin in the quarterfinals and then won by a 10-4 decision in the semifinals. 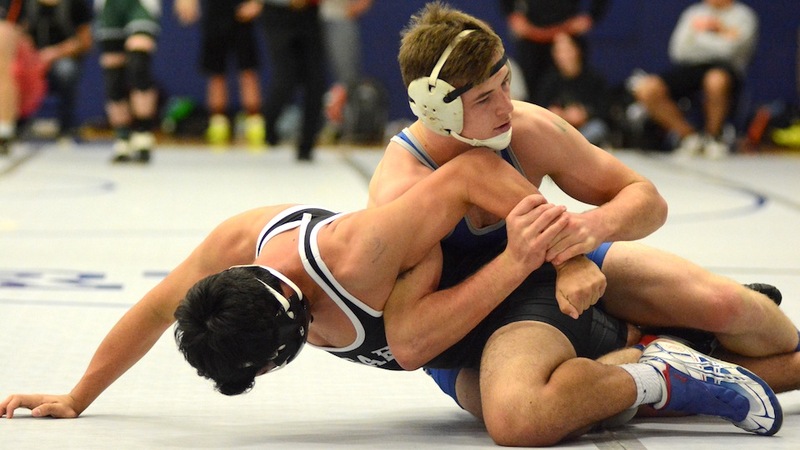 Parra began wrestling in eighth grade at Whiteaker Middle School. She won her first match, despite not really knowing what she was doing. But high school wrestling was much tougher. Wrestling on McNary’s junior varsity, Parra started her sophomore season 11-0 before losing her first match. She was 18-3 as of Friday, Jan. 5. McNary coach Jason Ebbs has seen a big difference in Para this season. Para’s goals for the rest of this season include wrestling her way into McNary’s varsity lineup and then qualifying for the first OSAA sanctioned girls state wrestling tournament. McNary took three girls to Reno. All three placed as Brooke Burrows took fifth at 100 pounds and Tia Vincent finished fifth at 170. At the end of each year media outlets use news space to predict what will happen in the following 12 months or run a list of wished-for headlines in the coming year. In this space we don’t utilize crystal balls or predictions—they are nice parlor games—we prefer to look forward by relying on trends and the words of those who can affect the future. We will focus on what is happening rather than write about hoped for events. While we don’t do predictions we are confident in our desire to hear words that can help all live better lives—that is the goal of most every man and woman. We want to hear the words compromise, moderation, solve and everyone. Compromise is not a dirty or treasonous word, though that is what many in Congress have suggested or acted on. Politics is the art of compromise—shifting one’s position slightly to achieve part of one’s goals. 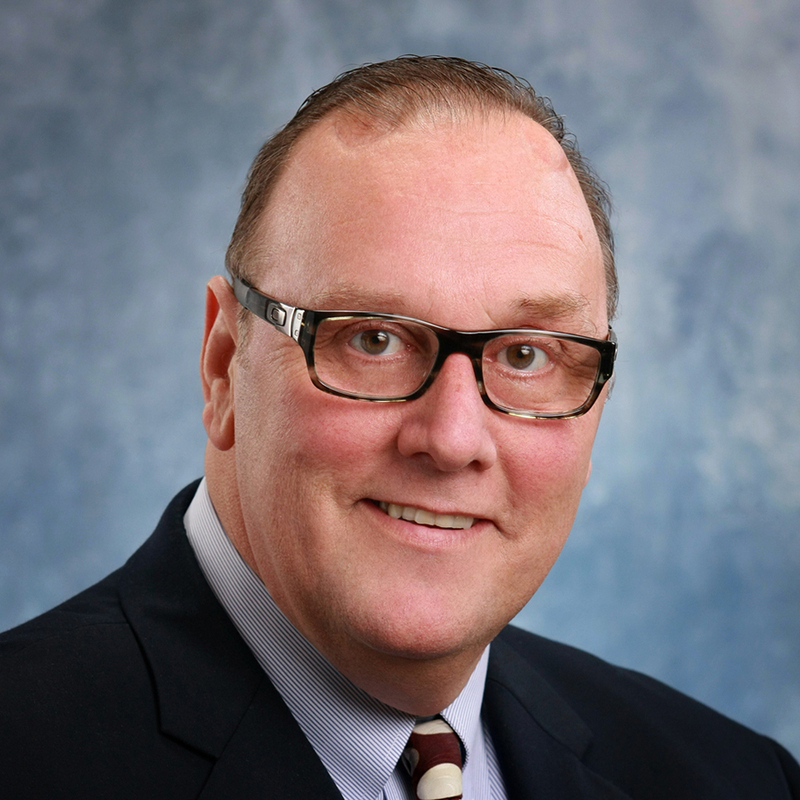 In recent years politics has meant stand firm in your position and don’t give in…ever. Just as extremism is no virtue, moderation is no vice. Winners and winning ideas live in the middle, the space between the extremes of the ideological spectrum. Former conservative icon Ronald Reagan certainly understood the art of moderating some of his long-held beliefs to achieve a score in the win column. Every problem that America, Oregon and Keizer face has been solved somewhere in the world. A look to Europe and Asia will show how countries on those continents have managed their traffic and transportation issues. Travelers returning from those places marvel at the infrastructure that get people from one place to another. Other nations have also addressed housing and density issues that can be an example. Hippocrates said it best more than 2,000 years ago. In part, he wrote primum non nocere. Its translation is one of the most well known sayings on Earth: “first, do no harm.” It was part of the oath that those who dispensed medical service gave to the gods. Though modern day doctors do not use the oath, its premise is an important guide. Everyone knows the Golden Rule and some may even live by it. Hippocrates rule, while originally devised for doctors, would be a good complement to the Golden Rule especially by those who have sway over others: governments, employers, legislators and business. Doing no harm would mean passing laws that are friendly to our environment—the only one we have. It would mean not imposing regulations or doing away with regulations that relate to the well-being of people or their livelihoods. We should all endeavor to do no harm to the world on which we live or to harm those who are different than us. When we compromise, moderate our positions we can find solutions that benefit everyone. That’s a heck of a plan, one to adopt and help others, all without the services of a crystal ball or made-up headlines. I, Tonya is a movie that is, in places, very difficult to watch. But it is also impossible to look away. This biopic about the briefly famous, then infamous Tonya Harding has offended some reviewers by putting child abuse and domestic violence in close proximity to comedy. But it would be difficult to tell Harding’s story without both elements. Harding’s mother, LaVona, (the way the movie portrays it) motivated her young daughter’s dedication to skating with beatings and demeaning cruelty and eventually threw a kitchen knife into her daughter’s arm. LaVona (played with vicious charisma by Allison Janney) also excels at emotional violence. At one point—after the attack on Harding’s main skating rival, Nancy Kerrigan —LaVona finally tells her grateful, tearful daughter how proud she is of her achievements on the ice. But Harding discovers that her mother is actually recording the conversation in a ploy to sell a confession to the tabloids. Harding’s husband, Jeff Gillooly, not to be outdone, smashes his wife’s head into a wall and shoots a gun at her. Nearly everyone who is supposed to love Harding hurts and betrays her. But who could possibly invent a stranger comic story than the conspiracy against Kerrigan’s knee? Gillooly plots with self-described international counterterrorism expert Shawn Eckhardt (actually a professional loser and Star Trek nerd who lives with his parents) to send death threats to Kerrigan. This somehow morphs into the hiring of two hit men (quite literally in this case) to strike Kerrigan’s leg with a retractable baton, in an attempt to disable her before the 1994 Olympics. This caper has all the hallmarks of comic exaggeration; but none of this was fiction. Eckhardt, in particular, is a reminder that cartoon characters actually walk among us. The moral core of I, Tonya is clear enough. Harding is a difficult, occasionally obnoxious person, for whom we end up rooting without reservation. She emerges from a crucible of dysfunction and abuse as a remarkable figure—at one point, the best in her field. In a world where the judges wanted a princess, she was an athlete. Their preference for “artistry” was revealed as snobbery. Harding’s working-class background and hand-sewn costumes were noted at the time—now (amazingly to me) 25 years ago. But the real story was how a flawed, vulnerable young woman managed to show such strength and excellence even while surrounded by abusive fools. But I, Tonya is ambitious beyond these details. The movie points to the danger of imposing a simple narrative on events. I vividly recall the Harding/Kerrigan scandal and Olympic showdown, which occupied the country for months. Before I saw the movie, I honestly could not remember if Harding was innocent or guilty. Yet in the back of my mind, I thought she exemplified guiltiness. The country had created a drama with a villain and a victim. There was no room for humanizing complexity. It is possible, it turns out, for a story to have two victims. In the cause of our narratives, it is our tendency to draw massive conclusions based on scant evidence. The movie indicts tabloid television —which was a rising force at the time—as particularly prone to this destructive form of simplification. But Harding eventually turns to the camera and accuses the audience sitting in the theater of the same thing. When she says, “You’re all my attackers, too,” it is a moment of genuine discomfort. Elsewhere in the movie, Harding argues, “There is no such thing as truth. Everyone has their own truth.” It is facile and destructive to claim that truth itself is relative. But all of us see truth from our own angle, and there is wisdom in recognizing that our view can be skewed. As I, Tonya demonstrates, the world is often more complex—and more interesting—than our narratives. “Seniors” includes guys like me. We Americans, who grew up during the years I grew up, most often completed high school while also holding part-time jobs that were full-time on Saturdays and during summers. Subject knowledge leads me to say that we made serious contributions to the American economy, raised families, and served in wars since 1945. We worked throughout our lives and earned a respectable retirement. That appears threatened now. At this moment, for seniors, the Republican tax package is not only widely unpopular but already recognized as mainly beneficial to the “One Percent” of Americans who got wealthy through our labor and consumer buying. These wealthy Americans are nowadays singularly served by what should also be our representatives in the U.S. Congress. Meanwhile, the D.C. Capitol crowd lies to us in propagandizing that the tax package is a win for all Americans. As 2018 dawns, these GOP representatives are concerned about a backlash by their constituents back home and plan to double-down in an aggressive public relations effort, trying to make a silk purse out of a sow’s ear. At the same time, President Donald Trump is busy, by talk and tweets, promising that he “will work with the Democrats to rebuild the nation’s road and bridges” after one of the greatest giveaways ever to the U.S. rich. So, let’s get real. With the tax cuts alone, not including an infrastructure package that would require more billions in deficit spending, it means the nation will go more seriously and outrageously deeper into black hole debt that will adversely effect a lot of us us and our descendants. But, hold your horses! Let’s be wise to what’s really a coup de grace that will be peddled to the contrary as making all here good and wonderful: the greatest of pipe dreams that our nation’s corporations and wealthy will use their recklessly generous windfall to invest in all ways possible to improve and enhance American lives in general. Americans who’ve been around for a while should know what’s about to happen. The same representatives in Washington, who’ve given us the new tax package are eyeballing seniors for budget savings, and those savings will be advocated by drastic cuts, even termination of, Medicare, Medicaid, and what was the sacred “third rail in politics,” Social Security. Again, predictably, those clever folks who are supposed to be looking after all of us, those who worked for a better America, will predictably soon be informed that things must be tidied up through “entitlement reform.” Translated, that means seniors must pay for those tax breaks. If seniors, and those Americans about to become seniors, want to save themselves, it appears timely for them to become activists. At least look into what’s about to be laid upon us and be motivated thereby to vote. Then, too, regarding the entitlements issue, it’s not only that Social Security will take a dive by reforms, but it’s Medicare that keeps most of us after age 65 from poverty and homelessness when surgical procedures and cancer-abating drugs become our financial companions. A fight by millions upon millions of older Americans must be joined to let those in Congress know that their days “representing” us are over if they vote for significant damage to our government lifelines. In fact, although it may be pie-in-the-sky thinking at this time, the best course of action for the American majority is for the tax package to be reversed as soon as possible and our current “representatives” become real representatives again. Keizerites might just be shopping at Waremart by Winco at the end of the month. Keizertimes reached out to a spokesperson for the business last week and didn’t receive a reply, but a sign posted on the front of the store at 5450 River Road North suggests the grocer plans to open by the end of January. That’s not the only indicator that things are moving ahead at full speed. On Dec. 29, the city issued Waremart’s occupancy permit suggesting that construction is complete. 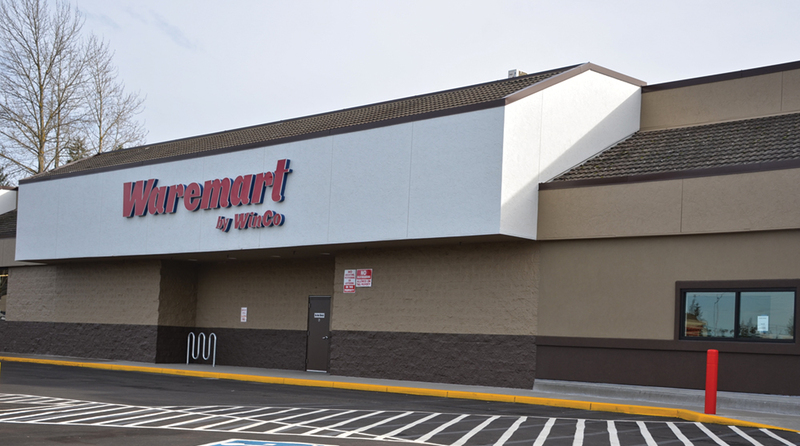 In addition, the Keizer City Council approved Waremart’s liquor license in a unanimous vote Tuesday, Dec. 2. Two young adults and a minor have been charged with a threatening graffiti incident in November. The three suspects had no connection to the local schools and reside in Clark County, Wash. Police believe they had no means or intent to carry out the threats that targeted McKay High School specifically and others more generally. 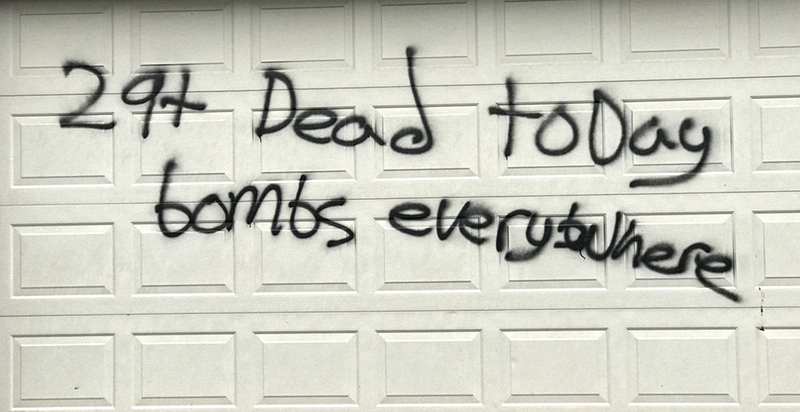 On Wednesday, Nov. 15, at 3:37 a.m., officers from the Keizer Police Department responded to a report of threatening graffiti that was found painted on garage doors of at least four residences and a residential fence in the Country Glen neighborhood in north Keizer. News of the graffiti spread rapidly in the media and online. The Salem-Keizer School District issued an auto-dialer letting parents know they were aware of the messages and attendance at several area schools dropped significantly in the following days. Three residences in the 1400 block of Horizon Ridge Drive NE had graffiti painted on their garage doors, while another residence located in the 6800 block of Jakewood Court NE had graffiti painted on the fence that bordered its property. Messages included: “School Shooting today @MKAY;” “29+ Dead today bombs everywhere,” and “Sandyhook2” among others. In addition to the graffiti on private residences a stop sign and park sign were vandalized. A Keizer police detective and a school resource officer were assigned to investigate the incident and the five-week investigation resulted in three suspects alleged to be responsible for the crimes. On Nov. 29, investigating officers located and interviewed a 17-year-old male in Vancouver who is also alleged to have taken part in these crimes. A report of their contact with the boy was completed and referred to the Marion County Juvenile Department for prosecution of the alleged disorderly conduct and criminal mischief. 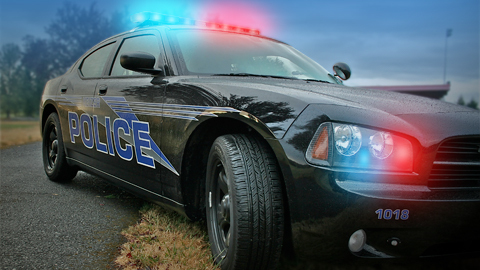 On Dec. 20, Christopher Bensch, 18, of Vancouver was cited and released after investigating officers located and interviewed him in Vancouver, Washington. He was issued a criminal citation to appear in Marion County Circuit Court on Jan. 11, on the same charges as the first two suspects.